The Joe of the week is Slaughters Marauders Low-Light. This the the V2 Low-Light. I have always been a fan of the repaint figures. 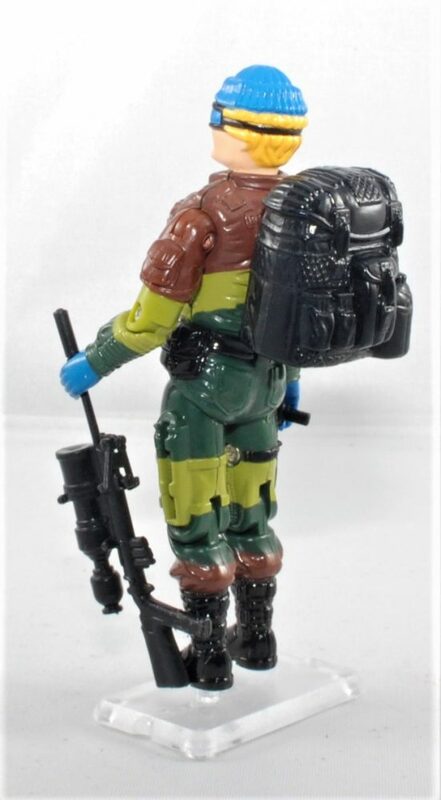 I never owned any Marauders when I was a kid, I am not sure why. 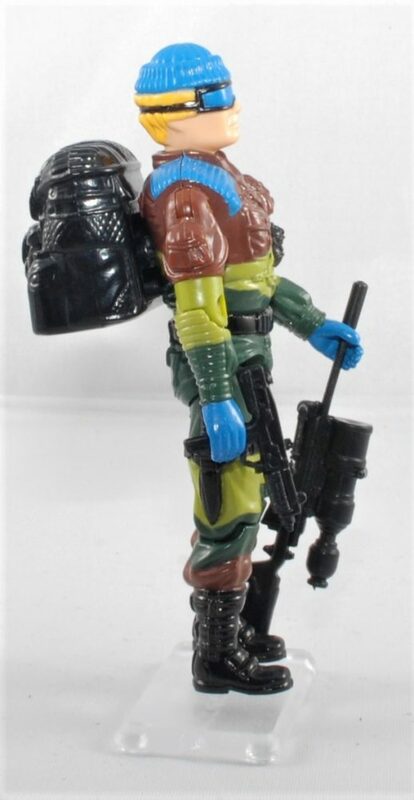 I was still buying Joes in 89-92 so just not sure how I never ended up with at least 1. I picked this up in the Big Joe Haul 2018. Most Marauders incorporate their blue spot color nicely. 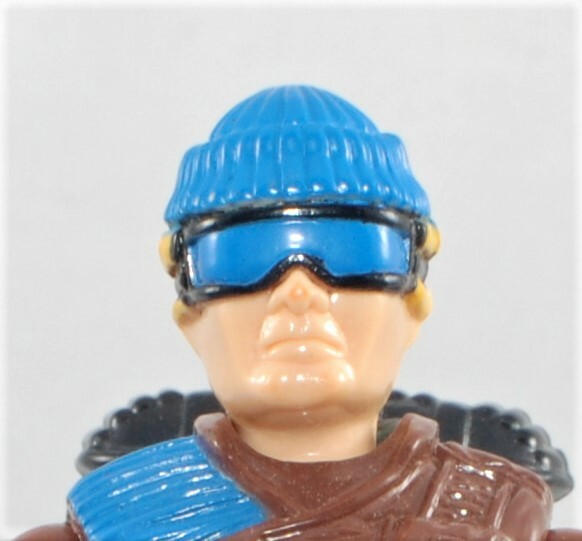 My only real complaint with Low-Lights coloring his his goggle lenses and nit hat are the same color. I would have like to just have a dark hat or black lenses to give a little more contrast. On his left leg it looks like it some sort of knife holder or pistol holder. Does anyone know what it is for?